MOSCOW, February 15. /TASS/. The bogus stories about hundreds of Russians allegedly killed in Syria in an air raid by the US-led anti-terrorist coalition was launched by anti-government rebels, Russian Foreign Ministry Spokeswoman Maria Zakharova told a news briefing on Thursday. "Anti-government Syrian rebels were one of the first to have spread this rumor through their media channels. Western media’s reports about dozens and even hundreds of Russians killed in Syria in an attack carried out by the US-led coalition, is a classic example of disinformation, she said. "Reports about the death of dozens and even hundreds of Russian nationals are a classic example of disinformation," she said. "There were not 400, 200, 100 or even ten (who died), according to preliminary information, in a clash the cause of which is being investigated. Five people, who allegedly were Russian citizens, may have been killed. Several people suffered wounds but it requires verification, particularly as to whether all of them are Russian nationals," Zakharova said. "I would like to stress that they are not military servicemen," she added. "The Russian presidential administration and Defense Ministry have promptly clarified that there were no Russian military servicemen in the area targeted by the US-led coalition." The Russian diplomat noted that "Syrian militants fighting against the government" had been the first to start "spreading this disinformation through their channels." "God knows why they used a picture of the Martian landscape, adding a photo of destroyed military hardware, which could be Ukrainian (a probe is underway) that dates back to June 2014." "We can understand the reason why international terrorists spread such rumors," Zakharova went on to say. "As well as why US media outlets do that. This information campaign was stoked by Washington, which has been accusing Moscow of interfering in the US presidential election," she added. "There is a large number of people from all over the globe in conflict zones, including from Russia and CIS member states," the Russian Foreign Ministry’s spokeswoman said. "They have various reasons to be there, including participating in military activities. They do not turn to state agencies when they head off to conflict zones, and use illegal routes. 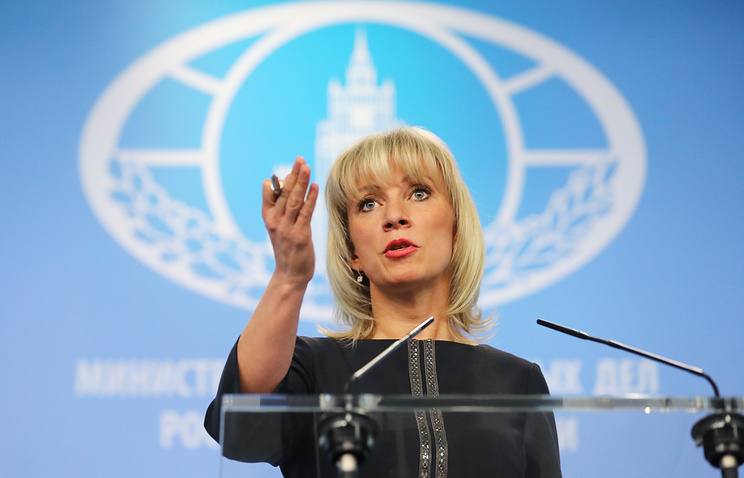 It is difficult to figure out who is doing what there but the Russian Foreign Ministry together with other state agencies has been looking into every such case because one of our goals is to protect Russian nationals abroad," Zakharova concluded.